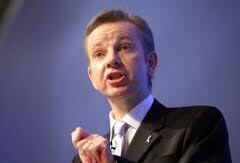 I expect you have all read about Michael Gove’s proposal that every child reads 50 books a year. I have waited to comment, so that I could bring some of the arguments against this proposal – and there have been many objections – into this article. Whilst every school librarian would agree that pupils should read more books, it is setting the arbitary limit of 50 that is causing comment. 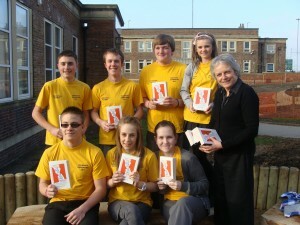 For some pupils – and I would have been one of them – 50 books is far too few. For some, 5 quality books would be a good goal to have. Librarians, who are reading specialists after all, are experts at assessing and matching books to pupils, choosing just the right books for their audience. Not authors, as Gove suggests. I like authors – as a school librarian I would be mad not to! – but they are not the experts in choosing books for children, we are. Lots of people have blogged and commented about this proposal- what do you think? Author Bali Rai’s blog post – a great read! How far can a World Book travel? Marion Milroy, Learning Resource Manager at the City School, Sheffield handing over her World Book Night choice of One Day by David Nicholls outside Manor Library. The pupils pictured are some of the students from the school going on an expedition to Malealea, Lesotho, Southern Africa over the Easter break. Marion hopes they will have time to read the book before they take it to the pupils of Malealea High School for their school library. Perhaps this is the furthest a World Book Night book will travel? How about reading … in the Tardis? Alan Bennett’s A Life Like Other People’s, one of the 25 books given away for free on World Book Night recently, takes second position in the chart thanks to a 202% week-on-week sales boost. Another of the 25, Sarah Waters’ Fingersmith, also earns a place in the chart. The terrific sales performances of all 25 “freebie” titles continue to confound World Book Night critics who suggested flooding the market with 1,000,000 free books would have a negative impact on sales. School Libraries Group Conference – Have you booked yet? Just a reminder that CILIP’s School Libraries group are running a conference in 2011 at the Holiday Inn at Peterborough. With 9 keynote speeches and over 20 seminar sessions to choose from, there is something there for everyone. Authors Celia Rees, Robert Muchamore and Jon Mayhew will be there, amongst others. If you would like to look at the programme, or book, please visit this link: http://www.cilip.org.uk/slg-conference. You do NOT have to be a member of either the SLG group or CILIP to attend the conference. Book now to ensure your place on this important event! Book now!